Interview on Radio Pakistan 1960-10-29 | Ismaili.NET - Heritage F.I.E.L.D. Q: Your Highness it is very kind of you, indeed, to have found time to visit us, and I hope you would be gracious enough to answer a few questions for the benefit of our listeners. A: On the contrary, it is very kind of you to have invited me and I hope I will be able to answer your questions. Certainly I will do my best to do so. 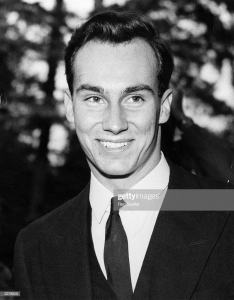 Q: In the first place, Your Highness, can you tell us something about the type and extent of responsibility which attaches to the position of the Aga Khan, the duties involved, the main objects in view, and the principal policies that you have in mind as the leader of your community? A: Well, the principal responsibilities of the Aga Khan are of course duties as the Imam of the Ismaili community. These duties are duties involved with religion and propagation of the principles. These are certainly directly connected with the Imam. But at the same time over history, over a period of years, my grandfather and his ancestors took upon themselves to help the community in the secular fields of life and that is why today I pay great deal of attention to my community’s health and education and business. Q: The Ismailis are spread amongst many nations and over many continents. Does this geographical dispersion raise any special problems? Does it affect, if I may say so, the communal life of the Ismailis in the political, diplomatic and economic fields? A: Naturally, the community lives in about 21 or 22 countries. So there are a number of problems which are particular to us. However, we have one very strong principle which is in practice everywhere where we live, which is that we should be full-fledged citizens of the country we have made our own. For this reason we would not have the type of international friction, if there is such between countries, we would not feel it as such. However, the question of finance, of course, is important. One has to finance in the sterling area or in the French franc area or in the hard currency area. This of course was a problem but, so far, we have been able to solve it. Q: Would you care to express any views on the future of religion in the modern world? A: I think this is a particularly interesting question and of course one which I am intimately concerned with. I feel very strongly that today more than ever it is possible to live a modern life and at the same time live a truly religious life. The problem that must be avoided is of putting people in the situation where they have to choose between the one and the other. And this is particularly the strength, I think, of Islam. There is nothing in Islam, as far as I know, and I have studied it carefully, which could affect our attitude to modern progress in the modern world and as long as this is the case I feel that we can make great strides and at the same time remain very good and practising Muslims. Q: Some people think that one of the principal objectives of the late Aga Khan was to organise the entire Muslim world in a manner which could neither be wholly identified with the pan-Islamic movement nor with a purely theological approach to the unification of Muslim sects — but perhaps had elements of both. Do you propose to make this one of your own objectives, and if so, how would you go about it? A: I certainly like to see most friendly relations between all the Muslim states of the world. I think one of the most important factors in this is that most Muslim States have a major problem which is to raise the standard of living of their people, and so long as they have this common problem perhaps they could unite around it to find a solution which would be practicable in many of these states or to get a number of states to help each other out in facing this problem. And that is why I tend to emphasise the economic ties to begin with, ties which can be of use to any state which is to reach an agreement along those lines — something where it is in the interest of both Muslim States to work together. And then afterwards the other things, cultural exchanges etc. can take place. Certainly one could argue that they should be hand in hand but I think the question of interest and reaching a common denominator which is the desire to progress, is important and I think if one keeps that in mind, one could reach a fairly encouraging solution. Q: During your present visit did you have enough opportunities to see the cultural and economic life of the people of Pakistan? A: I spent approximately 40 days touring in both wings of Pakistan and I have studied the conditions closely. Of course, I paid more attention to my own community’s problems but nonetheless through them and through my contacts outside the community I have been aware of the progress that has been made. Q: Did you find any change since your last visit to this part of the world? A: Yes, I think there is much greater desire to work today than there was earlier. Then, there is a greater consciousness among the people of Pakistan that if a family has three earning hands it is not sufficient for two of the earning hands to be fed by the third one. And this is terribly important. Then I think many new fields have been opened and opened up in a big way, fields such as mineralogy, light industry, home industries, better agricultural planning, animal husbandry. These sorts of things have been taken up in a very big way. Q: Leaders are usually requested to give message to the people. If you are requested to address a message jointly to the Ismaili community in Pakistan and the Pakistanis generally, what would this message be? A: Well I would sum up my message in two words or three. It would be “Islam and Work”. Islam, because this is the basis of our lives and must always be so. Work, because I think that it is terribly important that every Pakistani should take upon himself to contribute to the nation’s health and prosperity and it is only by the population’s getting down to good, solid constructive work that results can be obtained. In the last three years, I have visited many countries and I have not yet seen one which has achieved prosperity, and, should I say, secular happiness without very hard work.